I am sharing on the Illustrated Faith Blog today, and wanted to stop in and post here, too! 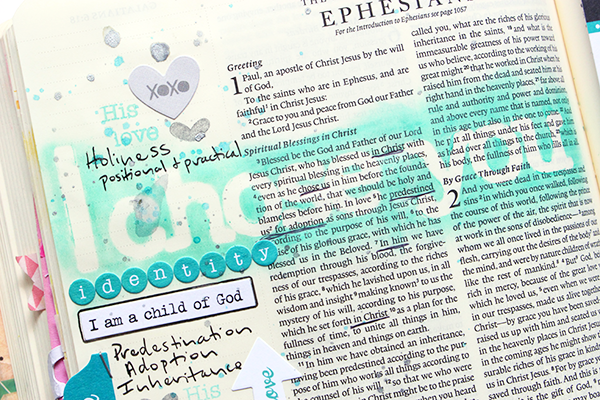 This past Sunday, we began a summer series on the book of Ephesians at our church. 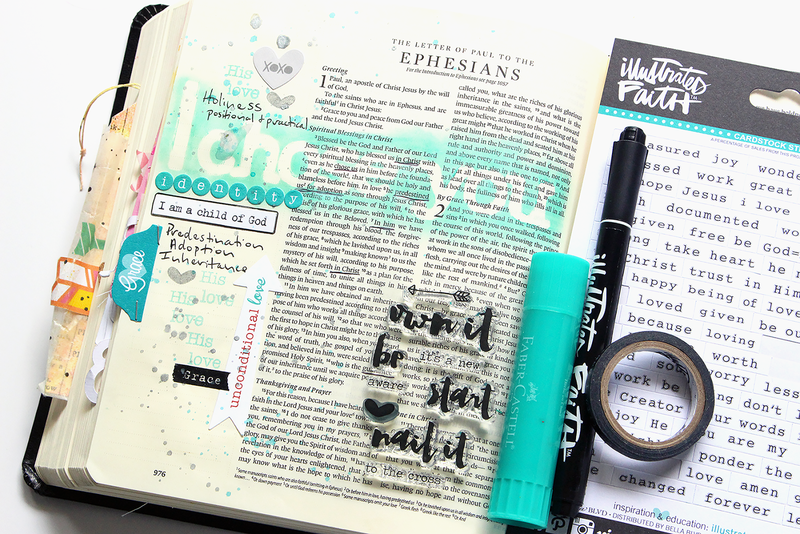 I love going through a series and getting more in depth in a book of the Bible or a topic. The series focus is living in God's grace and for his purpose, and we started off with a great first sermon. Our Pastor began with Paul's greeting and spiritual blessings in Christ. As he was moving through the sermon, he made a statement that really stood out...God chose you. We were looking at some of the phrases included in verses 3-10 in chapter one, specifically "in Christ", "chose us", "predestined", "adoption" and "in Him". It's funny how sometimes we know something in the back of our minds, and then when you hear it said by someone else it brings it to the forefront and really tunes you in. God chose us...all of us, from the very beginning...before we were even created. But the question we have to ask ourselves is, "do we choose Him"? I chose to follow God at the age of 12. I had been attending church with my grandparents, from the time I was a baby. And my decision wasn't based on fear or peer pressure, but I knew at that moment Jesus called me to Him and it was up to me what to do with that call. I answered YES!, and went before my little Baptist church and was soon after baptized. Was I perfect after that? Nope, not by any means. But I did know that I was now adopted into the family of Christ and I had a new identity...a Child of God. Now you might wonder where I am going with all of this! I definitely do have a point to share. :) I mentioned that I went to church with my grandparents. From my earliest memories, I knew I had a strained relationship with my dad...even when I was very little I knew something was off. We never got along, were never interested in the same things, and basically had a very stand-offish relationship. Fast forward to my Tenth Grade year in High School. My parents were in the process of getting a divorce and during this time, I found out that my dad was not my biological dad. This definitely answered a lot of questions I had over the previous years! My mom had married him around the time I was 3 years old, and prior to that we had lived with my grandparents. Now, I knew why I always felt so distant from him. There was never that early bonding connection, and I had made that connection with my mom and grandparents. So how does my being saved at the age of 12 come into all of this. Even though the things I knew...or thought I knew...were changing, I still knew who I was...a Child of God. There was NO DOUBT who my Father was! He had been preparing me from the time I was born, by placing me in a family that took me to church to hear His Word and know who He was, so when the time came, I would know who I was in Him! I've never felt the need to "discover myself" or find out who I really am, after learning that my adopted dad was not my biological father. We did check with my biological dad to see if he would like to meet me, but we did not. I haven't had any regrets about that either, because I already had the foundation for a relationship with the Father that never disappoints. I love the awesome thought of being adopted by God. He wanted a relationship with me, and he chose me, before I knew I would choose Him.